Turkey’s official news agency says prosecutors have launched a terror propaganda investigation into the newly-elected mayor of Turkey’s predominantly Kurdish Diyarbakir province. The Anadolu news agency said Friday that prosecutors were investigating a ceremony attended where officials are accused of singing a march and observing a moment of silence for outlawed Kurdish militants. Among them reportedly was Diyarbakir’s new mayor, Adnan Selcuk Mizrakl, and two lawmakers from the pro-Kurdish Peoples’ Democratic Party, or HDP. Since 2016, the Turkish government has replaced elected mayors in 95 municipalities, including Diyarbakir, for alleged terror links. The HDP won back half of those seats but lost some former strongholds to the ruling party. Before Turkey’s local election last weekend, government officials including President Recep Tayyip Erdogan threatened they won’t allow people with “terror” links to serve if they win. 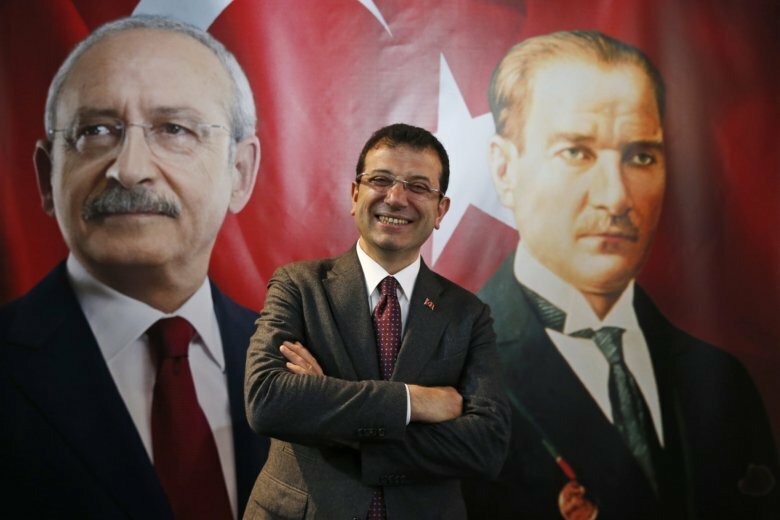 Turkey’s president says his party’s demands for vote recounts to challenge the unofficial results of Sunday’s municipal elections are only natural. Speaking after Friday prayers in Istanbul, President Recep Tayyip Erdogan said the elections were over but the legal process was ongoing with his party’s objections to the vote counts. Erdogan’s ruling party suffered a setback, losing Istanbul and the capital Ankara to the opposition but winning a majority of nationwide votes, according to unofficial results. Erdogan said Turkey’s electoral board was the “boss” of the process and would make a final decision. Erdogan also slammed the United States and European countries, accusing them of meddling in Turkey’s internal affairs and saying Turkey’s high voter turnout was a “democracy lesson” for the world.